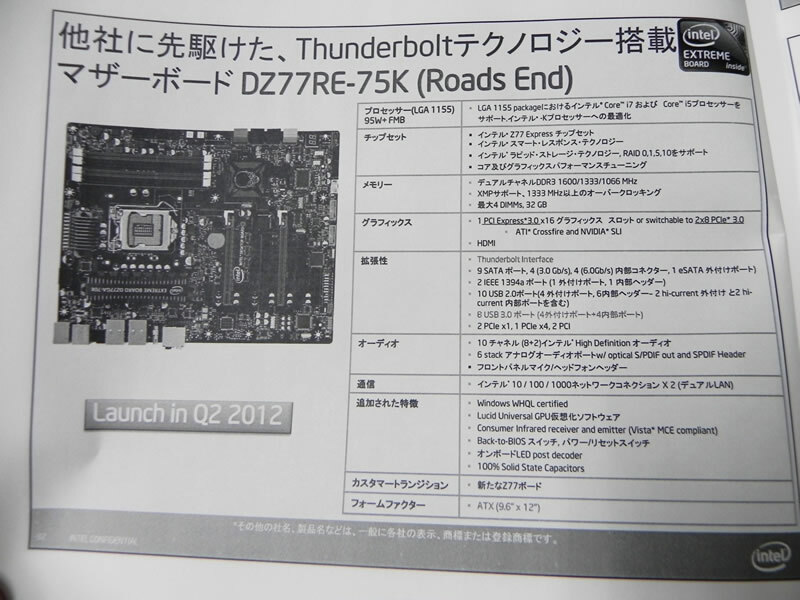 Intel’s latest Z77 platform is about to launch next month, The company is also preparing a new Extreme Edition Motherboard based on the Z77 chipset “DZ77RE-75K” which would feature Thunderbolt support and LGA1155 socket to allow compatibility with Ivy Bridge processors. The motherboard features four DDR3 DIMM slots which can support upto 32GB of memory modules with frequencies of 1600Mhz+. Intel’s Thunderbolt technology would also be added to the board which allows for better 10Gbps data transfer speeds and Raid 0,1,5,10 modes. Expansion slots include two PCI-e 3.0 x16 slots (x8,x8 electrical), 2 PCI-e x1, 1 PCI-e x4 and 2 PCI slots. Storage includes 4 SATA 6Gbps, 4 SATA 3Gbps and an e-SATA connector. I/O include 10 USB 2.0 and 8 USB 3.0 ports scattered on the motherboard, High Definition Audio with Optical SPDIF connector, Gigbit Ethernet LAN port. Other features include Lucid Universal GPU support, LED Post Decoder and 100% Solid State Capacitors. 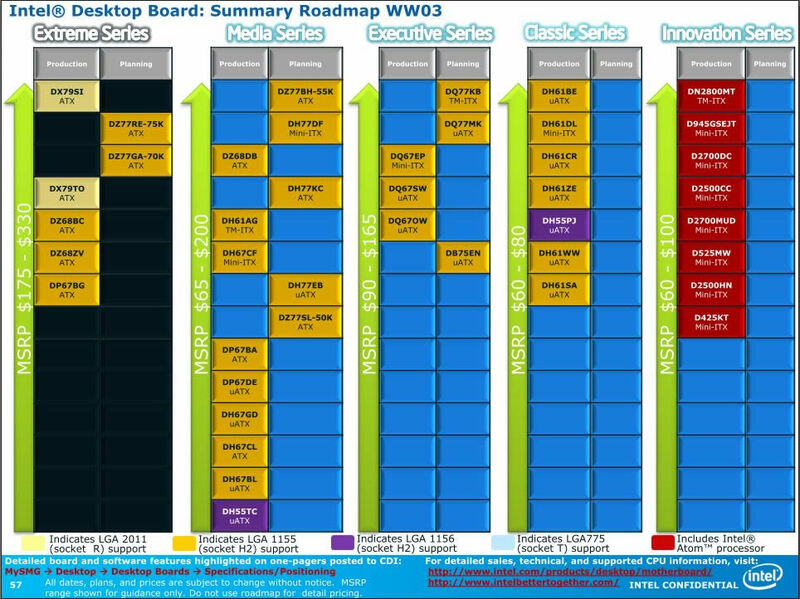 The motherboard is expected to launch in Q2 2012 or early April along with another Intel Z77 Motherboard “DZ77GA-70K”.